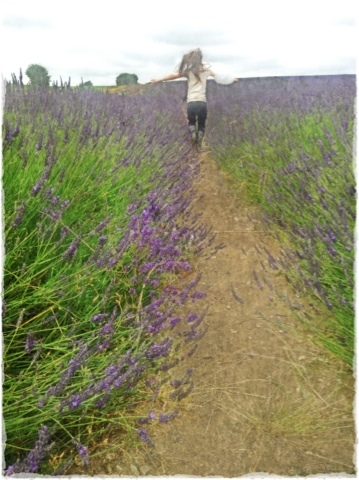 A real treat for the family... A trip to Hitchin lavender fields is always a must for this time of year. 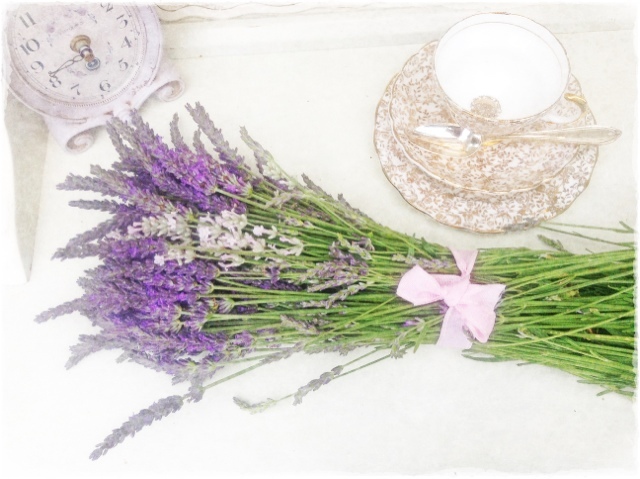 I've spent many a happy moment watching my girls running through the fields and collecting armfuls of gorgeous fragrant lavender. My eldest daughter running through the field. 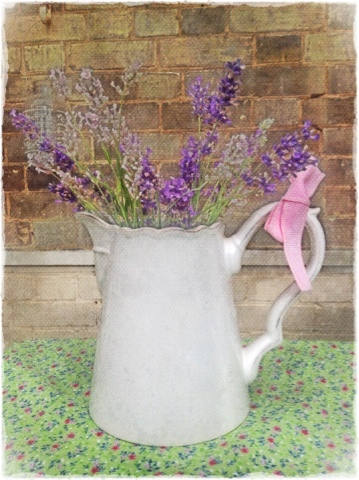 Admission to the +Hitchenlavender is just £4.00 per person with free admission to children under 14. You are then given a bag and a pair of scissors to snip away till your hearts content. There is also a beautiful old barn that has been converted into a tea room and I can recommend the cream tea! 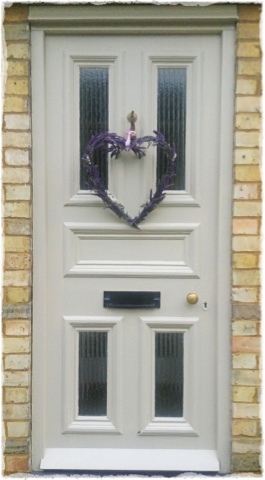 Returning home with bundles of beautiful lavender I decided to make a summer time wreath for my newly painted front door. 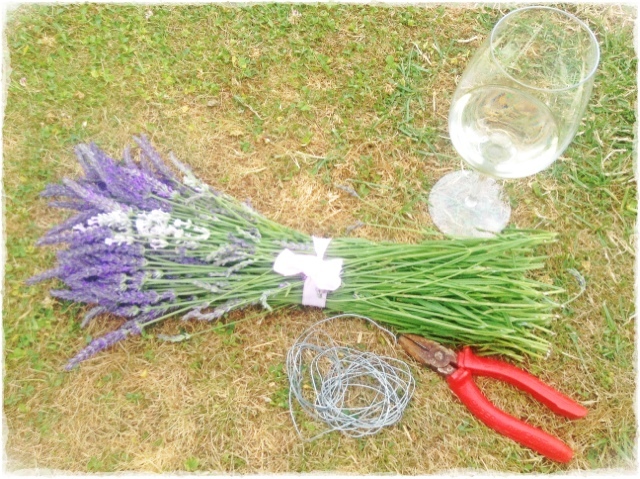 To make one you will need: a large bunch of lavender in bud. It's so simple start with small handfuls of about 5 sprigs and wrap around the wire, keep adding in the same quantity a little further up each time and continue wrapping around the wire until it is long enough to start bending into your shape, you could have a hoop, I've gone for a heart. 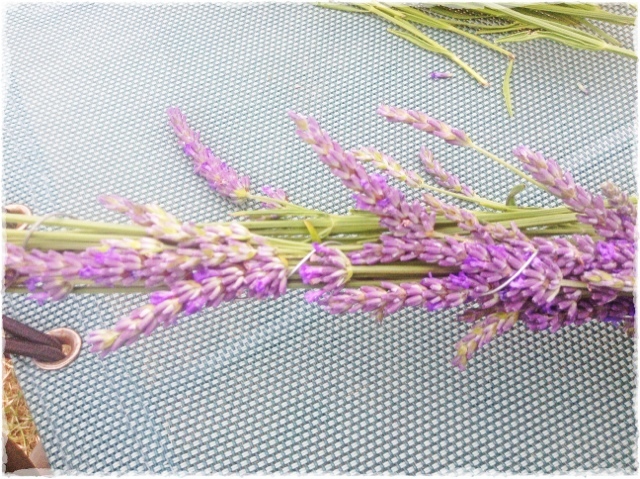 Fill in the gaps with extra lavender trimming off any stems as you go. Leave to dry out for a few days, this will make it firm and should then hang nicely. Finally add some ribbon and hang on a door. this is so cool! lovely photos! i love lavender and i try to get a little whenever i see an unsupervised bush. i've never been to a real field, even tho i live in france. the trains are just so damn expensive here! Thank you Sandra, yes we are very lucky to live so close! The air smells absolutely fantastic.